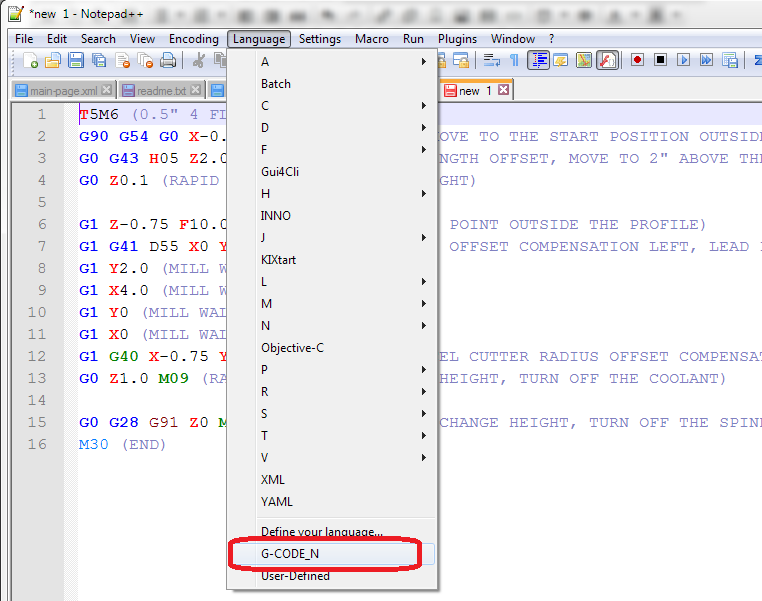 Click on "Import" button and select the G-Code_N.XML Language file you have just downloaded from my site. I use this program daily & have since around the middle of 2013 & find it indispensable for my job. I have contacted the author several times & offered suggestions & he usually implements them very fast. 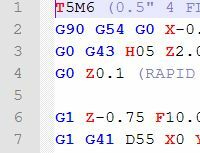 It has helped me learn g-code programming since you can customize the codes to display a tool tip type comment that shows you what a particular code actually means! I can't say enough good things about the program or the author! I HIGHLY RECOMMEND you give it a try!!!!! 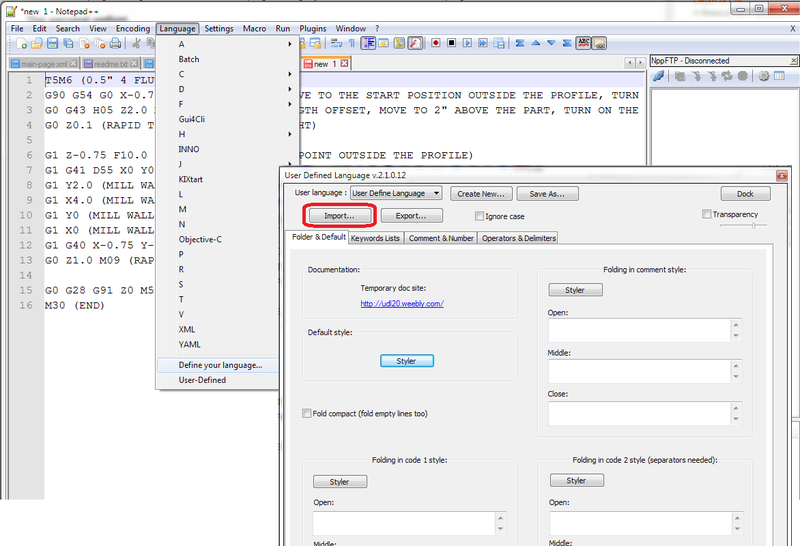 EdytorNC is text editor for CNC programmers. Some features : bolt holes calculation; solutions of triangles calculation; speed, feed calculation; conversion inch/mm, mm/inch; code colouring; RS232 data transmission with automatic file saving and possibility to download new CNC program directly from machine (beta function, look in tool tips in serial port configuration dialog). Clipboard to keep texts from system clipboard. Give EdytorNC a shot, I think you'll find it is the best editor out there & you can't beat the price!!!! I just downloaded and tried it and must say it looks pretty good! The only thing missing is the ability to backplot a toolpath. But as an editor it is excellent. EDIT: Because this article is a spam magnet, it has been closed down. Any discussian is welcome on our forums.